When I heard the news about the Planned Parenthood shooting, my heart plummeted. My heart goes out to all the victims in this horrific act of violence. A pro-lifer killing people. I can’t believe we are fighting this battle still and that a man took it this far as to commit a shooting. I saw an article about anti-abortion people actually praising the shooter who committed this act of violence, where it had a picture of a man’s Twitter account that read, “No sympathy for any pregnant female who was injured in the Planned Parenthood shooting that was there to get an abortion. She deserved it.” It is this blind hatred that astounds me: The idea that people who are so-called “pro-life” don’t value the life of the currently living, breathing woman at all, only the potential fetus inside her. So the pregnant, currently living human being doesn’t matter, just the potential fetus inside her. Got it. 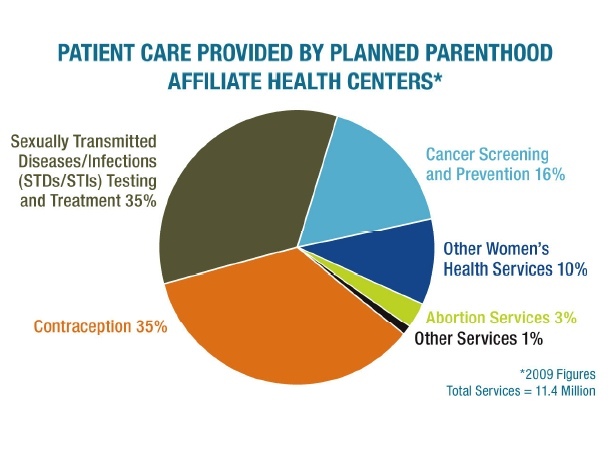 Plus, as countless people have pointed out, including myself, only 3% of what Planned Parenthood does is abortion. The other 97% of what they do is cancer screenings for women and men, testing for STDs, women’s health services including pap smears and annual exams, and access to contraception for women and men to prevent unwanted pregnancies that could result in abortion. 1.) Only a tiny fraction, 3%, of what Planned Parenthood does is abortion. Just look at the graph to your right: Majority of what they do is cancer screenings, STD testing and other health services. Having said that, it shouldn’t even matter that abortion only makes up 3% of services, because abortion is legal! For good reason too: It serves as a safety net for women and children. Seriously. 2.) In fact, majority of what Planned Parenthood does, is help people AVOID abortion. Look at the graph again: See that 35%? You know, the biggest piece of that pie alongside STD testing and treatment? Contraception. Contraception makes up 35% of what PP does: They help prevent unintended pregnancies, which prevent abortions from happening in the first place. Mic drop. Boom. 3.) Lump sums of federal funds are NOT allocated to Planned Parenthood for abortion. Despite the fact that this was brought up repeatedly throughout the hearing, this is not true. Only a very small fraction of federal funding is allocated to abortion. For that small number that do, think about the woman, or child, who is receiving Medicaid to help cover that cost: Take into consideration the 16 year old child who gets impregnated by someone. Girls like this and their families often cannot afford to pay out of pocket for a medical procedure. 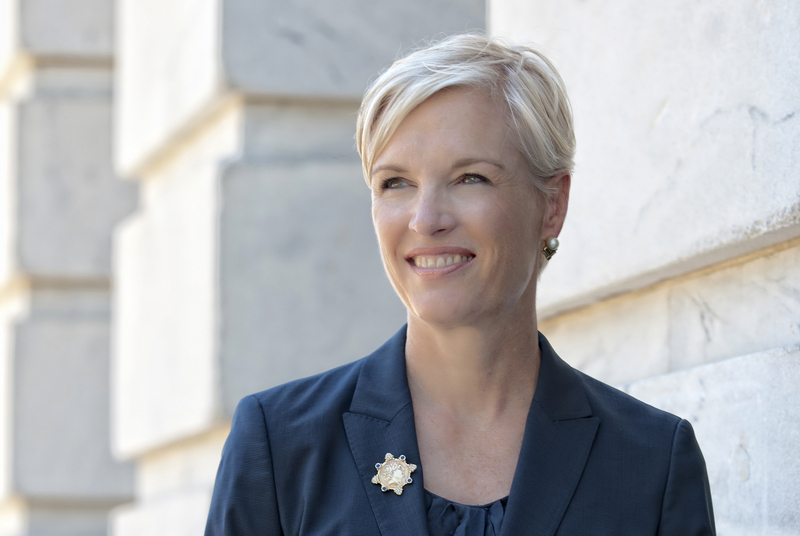 The facts are there, yet these representatives attacking President of PP Cecile Richards are not speaking factually and are basing their rash assumptions on illogical emotions. 4.) The highly edited video in question does not have any standing and Planned Parenthood does NOT sell fetuses. It’s insane that this statement even needs to be clarified. Samantha Allen, writer for the DailyBeast, synthesized a statement about the law by the Center for Medical Progress, stating, “Women undergoing abortions sometimes choose to donate fetal tissue for scientific research and abortion providers do not facilitate these donations without their explicit consent..transferring human fetal tissue is legal in the United States provided that payments are for processing and transportation costs.” Which PP is in full compliance. “The facts are on our side” as Richards put it, and that is why she chose to meet for the hearing in the first place: Because truth will win out. For a great synopsis of the hearings, listen to these 6 audio clips.